Banana is the best sources of potassium, which helps to regulate heart function and fluid balance, an important factor in the regulation of blood pressure. The effectiveness of potassium-rich foods such as bananas in lowering blood pressure has been demonstrated by a number of studies. Do you know how much of potassium is required a day? It is just 4g and you get this by eating a banana. The potassium in bananas can also help prevent muscle cramps after exercise. Fresh bananas provide adequate levels of minerals like copper, magnesium, and manganese. Magnesium is essential for bone strengthening and has a cardiac-protective role as well. In addition, probiotic bacteria help in absorbing calcium and increasing the digestive ability, this helpful bacterium is present in bananas. Green bananas are especially helpful in absorbing calcium. Bananas can diminish the uncomfortable effects of diarrhea and constipation. 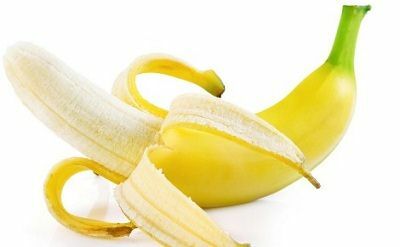 Due to the high content of the soluble fiber pectin in bananas, the soluble fiber can help normalize movement through the digestive tract and ease constipation. Bananas are a natural antacid, providing relief from acid reflux, heartburn and GERD. In addition, compounds in bananas called protease inhibitors, help destroying bacteria that causes stomach ulcers. Tryptophan acids are present in bananas and these help in reducing depression and thereby improve your mood. Among other functions, it regulates sleep and appetite and aids in creating a sense of relaxation. A large study by the Internal Journal of Cancer illustrates that the probability of developing kidney cancer is greatly lessened by frequent consumption of fruits and vegetables, though especially bananas. Researchers have revealed that women who consumed bananas 4 to 6 times a week had a 50% lower risk of developing kidney cancer in comparison to women who didn’t eat bananas.